A quick and easy probiotic pineapple salsa recipe that’s a little bit sweet, a little bit spicy and a whole lotta yum! 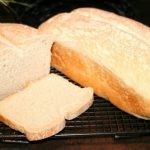 Do you have anything fermenting in your kitchen? My first thoughts of “fermentation” conjured up images of rotting, putrid food sitting out on the counter. A literal cesspool for bacteria to grow and thrive…I have since seen the light! Fermented foods and I are hitched “till death do us part” and I eat (or drink) them every day. I’ll sip on kombucha or water kefir with lunch or dinner, add a tablespoon or two of sauerkraut to breakfast or lunch, or top my burger with some fermented relish. 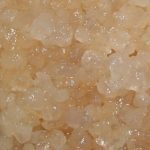 What foods can you ferment? The list goes on and on and includes various meats, sauces and dairy. Most well known to us (stateside) are drinks such as kombucha and water kefir, and dairy products such as yogurt and many cheeses (only those prepared using the traditional fermentation methods). The best part is finding your favorite flavor combinations! My mom gifted some fermented cranberry relish last year and I fell in love with fermented fruit. This fermented pineapple salsa is no different (I even brought it to a potluck where it was devoured!). Read this post for more on the health benefits of fermented foods. Once you’ve brushed up on your fermenting knowledge, it’s time to get fermenty in your own kitchen! Healthy Change #21 in our 52 Healthy Changes Series is to start fermenting! 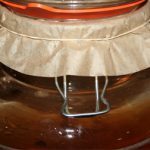 Kombucha, Water Kefir and Milk Kefir are all great places to start (and tend to yield more successes when new to fermenting). But if you’re feeling bold, try fermenting some cucumbers for tangy pickles, cabbage for kimchi or sauerkraut, or the following hot pineapple chutney recipe that’s delicious served with tortilla chips or on fish tacos! 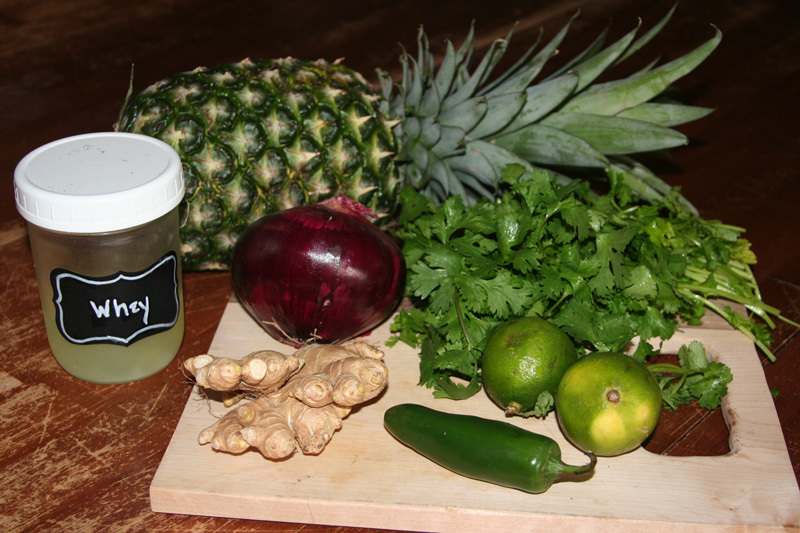 A quick and easy probiotic pineapple salsa recipe that’s a little bit sweet, a little bit spicy and a whole lotta yum! Build up your gut health with this delicious condiment. Recipe can be found in the book Nourishing Traditions Cookbook, by Sally Fallon. 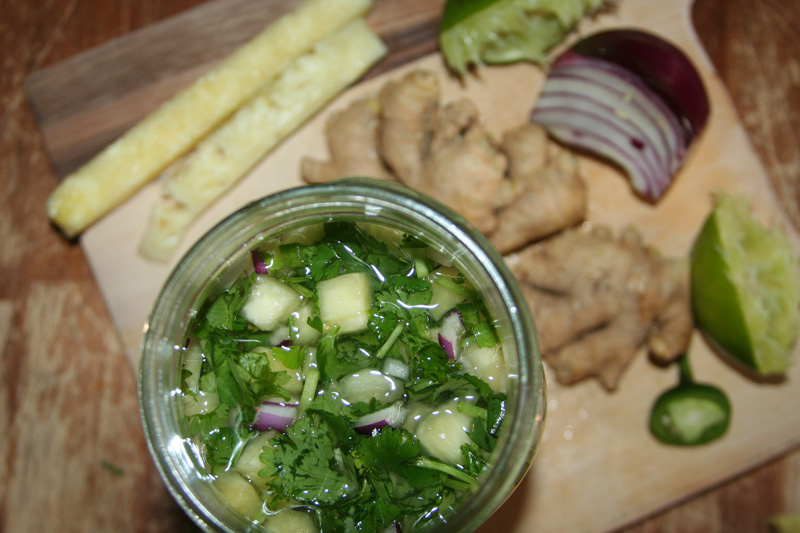 Dice pineapple, chop cilantro and grate ginger. Mix together in a medium bowl and scoop into a quart-sized, wide-mouth mason jar. Press down lightly with a wooden pounder (or other non-metal object). You want your chutney at least one inch below the top of the jar. Mix lime juice, salt and whey with water and pour into jar. Add more filtered water, if necessary, to cover the pineapple mixture. 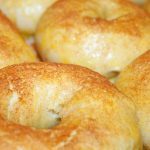 Cover tightly and keep at room temperature for two days before transferring to refrigerator. * To make whey, simply strain regular plain yogurt (not Greek style) in a fine mesh strainer (or coffee filter) allowing the whey to drip into a bowl until you have 1/2 cup. Can be enjoyed immediately or consumed within two months. This recipe makes approximately 4 cups of chutney, but if you buy a large pineapple and large onion (and a little extra lime juice) you can make enough to have extra to munch without fermenting! Just omit the whey and water, lightly salt and squeeze lime juice over the top. Eat it with chips as a fresh salsa, or straight out of the bowl with a spoon like I do! It’s delicious, even without fermenting…but wait two days and you’ll enjoy the added benefits of probiotics in each bite! I really want to make the hot pineapple chutney asap. But.. I have a question please. What do you do with the pineapple juice? Great question Lana! To make fermented pineapple salsa you’ll need to use a fresh pineapple, not canned (I assume this is what you mean by the juice?). 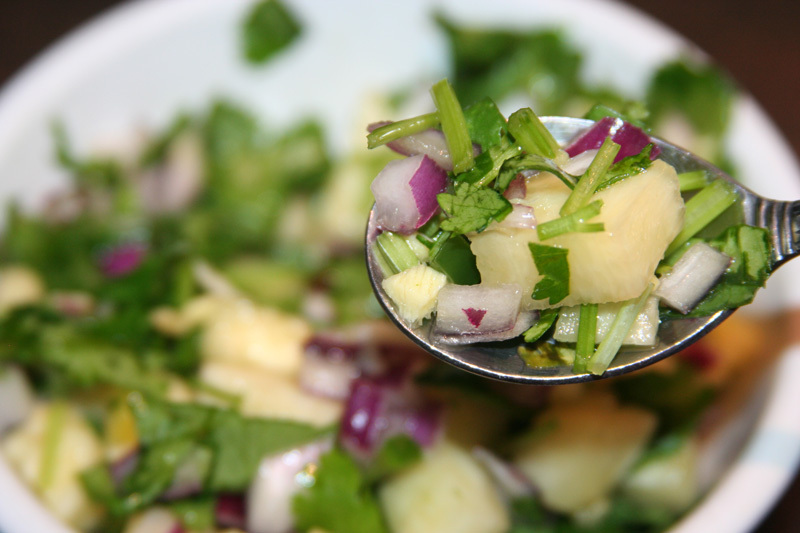 If you want to use canned pineapple to make a pineapple salsa (not fermented) it will still be delicious, it will just lack the probiotics created from the fermentation process. I’d also omit the whey. As for the juice you could use it to flavor kombucha or water kefir, that’s what we do with our leftover juice from canned pineapple! Did this answer your question? Best of luck!